In February, the tenth season of The Voice premiered on NBC. I've been watching this program from the beginning and enjoy the Blind Auditions. Four mega-talented recording artists turn their backs to the stage and listen while a contestant has 90 seconds to preform a song. 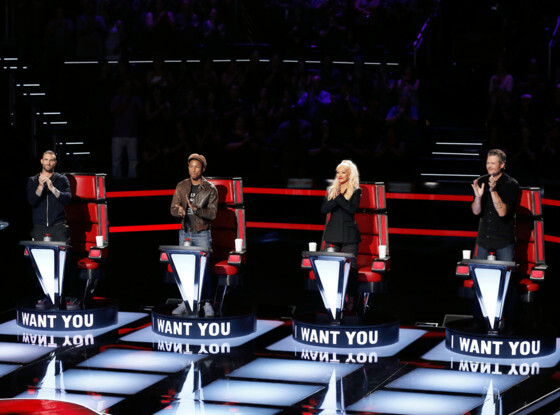 During the song, the four coaches can decide if they want the artist on their team and hit their button. If more than one coach turns, then the contestant gets to select their coach. In this selection process, each of the coaches makes a short pitch to the artist about why they should be selected. I've been fascinated to watch the words these mega-artists use to entice the contestant to select them. Often the contestant goes into the session hoping to be on one team but the words in the pitch will influence their choice. If you watch the show, I encourage you to focus in on these pitches because you will learn something critical about the power of words. If you haven't seen the show, I encourage you to check out this program. 1. The writer has researched and knows something about the publishing house or the literary agent. To get their attention, you have to know that professional is interested in your type of writing. You can get this information online or in a writer's market guide or through going to the bookstore and looking for similar books to your proposal. 2. The writer has selected their words to pitch. The subject line for the email is thoughtful and the first paragraph has been written to capture attention. If the pitch is oral and in person at a conference, the author has written their pitch and practiced it so they catch attention. 3. The writer listens to the feedback from the editor or agent. How is your pitch received? Is there interest or a response to send more information? Does the professional suggest some adjustment or refinement? Are you open to those suggestions? The best type of publishing is collaborative where there is some give and take from the editor or agent and the writer. 4. Do you follow-up and submit your materials or whatever is requested? If so, you will put yourself in a different category. One of the surprising facts about this process to me is that many writers never send in their material after a conference. Or they never follow-up on the email from the editor or agent. I've had this lack of response many times in my years in publishing. If you carry through or follow-up, you will be the exception and standout in the pitching process. 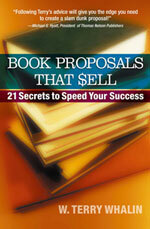 I have much more detailed information in my Book Proposals That Sell, 21 Secrets to Speed Your Success. In recent days, I purchased all of the remaining books, have slashed the price and created new bonuses for everyone who gets the book. I wrote this book as a frustrated acquisitions editor who wanted to help writers succeed. Whether you write nonfiction, fiction or children's books, you will learn a great deal from the study of this book. Readers have gotten book deals and top literary agents from using this resource. Whenever you pitch, I encourage you to use power words to get the reception you want from the publisher or editor. If the pitch is on target and excellent, maybe like The Voice contestants, you will have more than one agent or editor who wants your work—and you will have a choice in this process. As humans, we’re fascinated by things that are different, so by calling attention to startling facts and figures about your industry or product lines, you’ll bury your pitch even deeper in your prospect’s mind. You have great suggestions in your comment about how to use power words. I appreciated the specifics and you are right that startling facts or figures will help you stand out. Thank you.